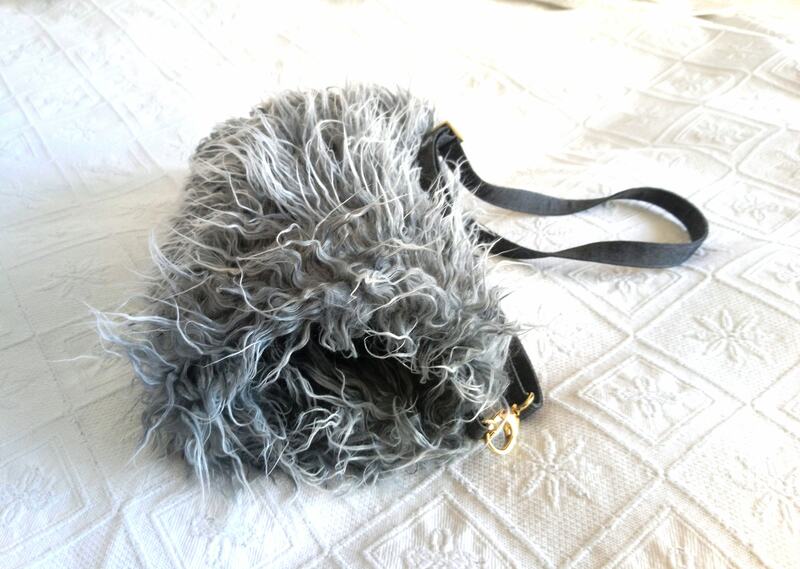 Muff, faux fur purse, long haired grey sheep fur. Package shipping 48h. 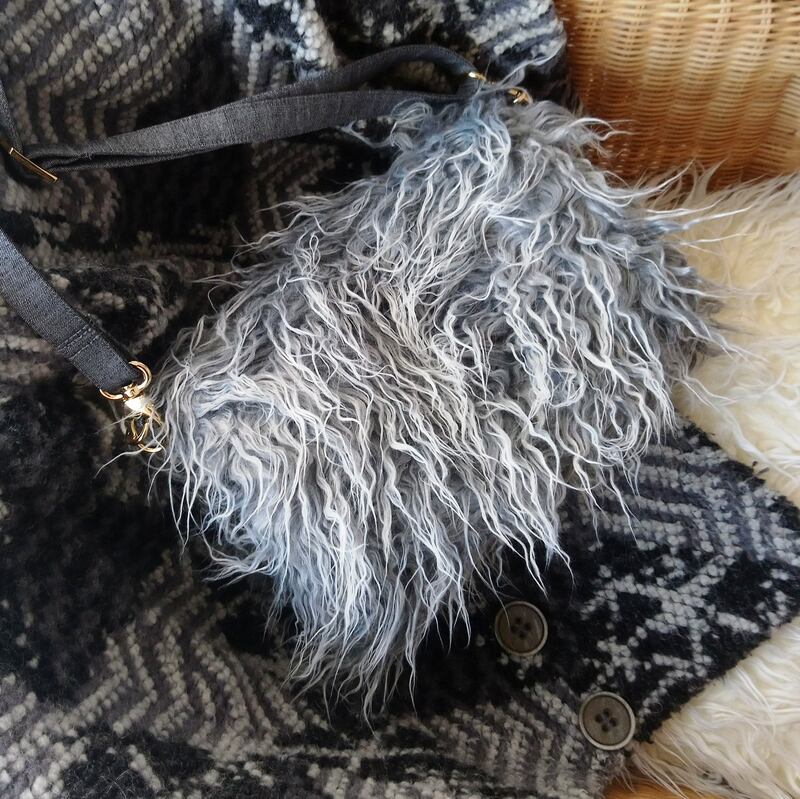 Muff to slip hands when it's cold and original handy purse! Both! Little bag very pretty, handy, easy to go and giving a fancy touch on any outwear, chic, casual, trendy, modern and classic. 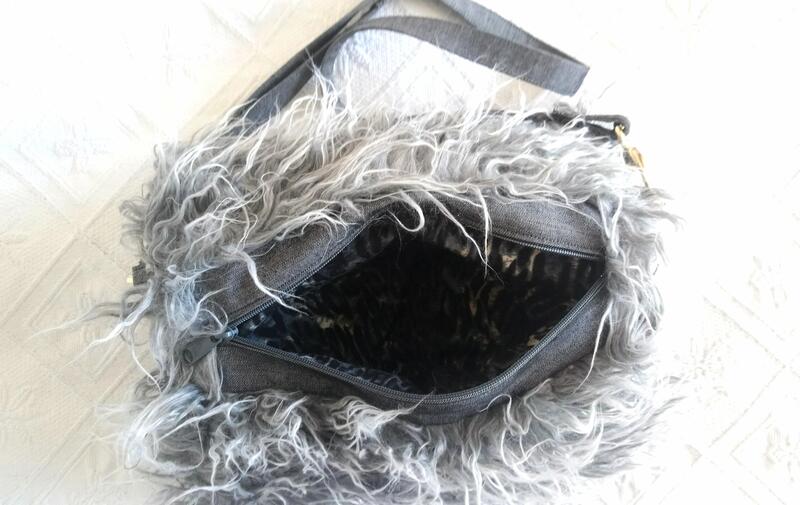 This muff bag is made with long haired grey sheep faux fur. The handle and the part around the zipper are made with grey denim. The handle is adjustable and removable. You snap it on little golden ring with (golden too) hooks. 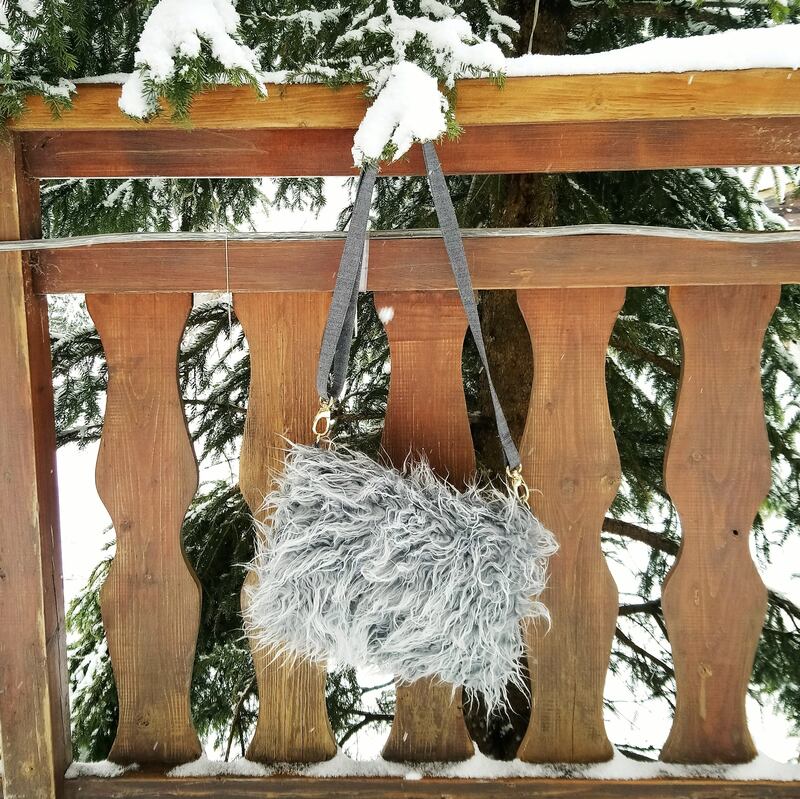 this muff bag is perfectly washable in cold to tepid water. Of course, no iron!